Editor’s Note: In this article, Mr. Nicola Bagalà explains to us the terms “rejuvenation” and “immortality” and how they should not be construed to mean one and the same. This article was originally published by the Life Extension Advocacy Foundation (LEAF). When doing science, it is crucially important to have clear, unambiguous definitions. These definitions must be firmly established to avoid confusion and misunderstandings and possibly to prevent people from going around telling everyone that you’re working on something that you’re actually not. It’s not uncommon, especially for outsiders of a given field, to use an inappropriate word to indicate a more complex concept than the word itself conveys—maybe because they think that the two are close enough or possibly because they just don’t see the difference. For this reason, it’s likely that each field has its own unspeakably profane word; in the field of rejuvenation, that word is the dreaded I-word: immortality. Before I explain why it is a dreaded word, it’s important to define what the heck it even means. Now, of course definitions are entirely arbitrary, and the same word could mean a different thing to a different person; but if we go with the most intuitive, commonly accepted meaning of “immortality” when nothing else is specified, then we can safely say it describes the quality of someone who cannot die. In other words, it refers to an immortal being could not be killed or die in any way, even if it wanted to. Just like people today who would like to live for an indefinitely long time (like me) are forced to eventually die by aging and are thus stuck without a choice (at least until we figure rejuvenation out), a hypothetical immortal being would be in a similar situation, with no choice to terminate its life because its immortality would force it to live forever. This brief article explains the issue very nicely and concisely. Now, the way I approach life, immortality wouldn’t be all that bad, because I am skeptical that I’d ever have a reason to want to die. Still, I appreciate that I might be wrong, so if I could choose and wanted to play it really safe, I’d opt for an “immortality switch”; as long as it is on, you’re immortal; if and when you get tired of life, you flip it off and you become mortal again, free to get rid of your own life however you see fit. 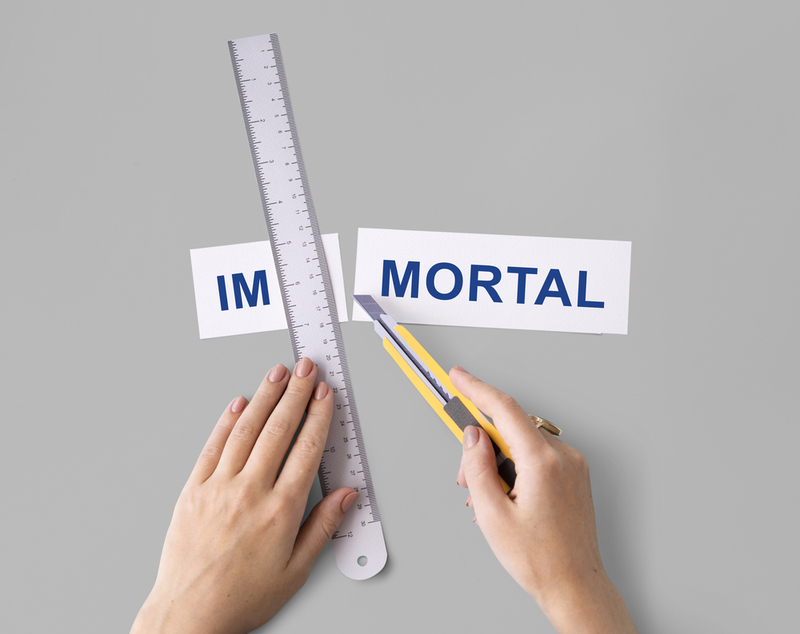 Unfortunately, an immortality switch is just as improbable as immortality itself. Think about it: to be immortal, your chance of ever dying of any cause at all should be exactly zero. There’d be no gun, no disease, no poison, no amount of air taken out of your lungs, no stellar explosion capable of terminating your existence. The inner workings—biological or not—keeping you alive should be indestructible, able to withstand forces of any magnitude and keep going under any possible circumstance (including running out of energy). Even without dragging the fabled heat death of the universe into the mix, it’s difficult to imagine how any of this could ever be possible—let alone a switch turning this unlikely ability on and off. I’m not going to go as far as to say that the above is completely impossible; I was trained to make such bold claims only when I can prove them, so I’ll just say that, to the best of my knowledge, this sort of immortality appears to be exceedingly unlikely. Now, whether immortality is possible or not is an intriguing question, but it is decidedly off-topic in the field of rejuvenation, because rejuvenation is not immortality. If a universal antiviral drug able to wipe the floor with every conceivable virus existed, you wouldn’t call it an immortality drug, because right after leaving the doctor’s office where you got your miracle shot, a grand piano might happen to crush you after a 50-story free fall, and the antiviral drug wouldn’t be especially effective against that particular cause of death. Similarly, rejuvenation would save you from death by age-related diseases, but not by falling grand pianos, sadly. 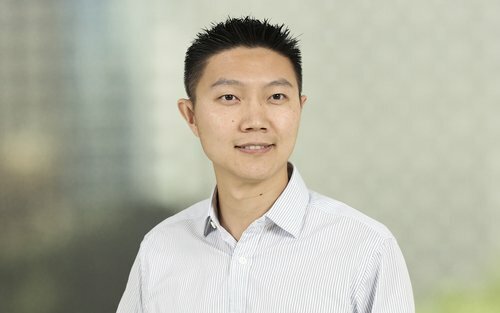 Yet, both people and the media keep talking about “curing death” and “immortality pills” when the actual topic is rejuvenation biotechnology; this is a cause of particular annoyance to Dr. Aubrey de Grey, whose pioneering work is constantly called an “immortality quest” and similar things. Since immortality reasonably seems a pipe dream and is laden with all sorts of ethical issues and concerns, whether justified or not, this results in a gross misrepresentation of the entire field and a lot of unwarranted bashing of completely legitimate medical research whose only fault is that it aims to prevent the diseases of aging rather than just coping with them. The same story is true of negligible senescence. If a successful rejuvenation platform were implemented, people would still age biologically, but we would have therapies capable of undoing such aging. Through periodic reapplication of these therapies, the hallmarks of aging would always be kept well below the pathology threshold. In other words, we would still senesce (that is, age), but our level of senescence would stay negligible—that’s where the term comes from. Yet, many people keep calling negligible senescence immortality just like they do rejuvenation biotechnology, whether deliberately or by genuine mistake, thereby providing an excellent strawman for needy critics to beat. This is why the I-word is dreaded in this field, by the way. Negligible senescence is the expected result of truly comprehensive rejuvenation biotechnologies, and yes, if we got there, our healthspan would be vastly increased, and consequently, so would our lifespan; if you were in perfect health for longer than, say, 100 years, it is a disarmingly trivial consequence that you would live for longer than 100 years. However, whether a negligibly senescent person then lives on forever or not, or ten thousand years from now, someone beats the odds and comes up with a fancy immortality switch, is an entirely different matter that is beyond the scope of the field of rejuvenation biotechnology. Speaking of which, let me reiterate once more what its actual scope is: to eradicate age-related diseases. All the rest, whether consequential effects or downright made-up rubbish, is just unnecessary embroidery. The U.S. Transhumanist Party is, among many other things, concerned with life extension, health, and in general the well-being of people. If life extension can be stretched to virtual immortality, that would be even more amazing, but should it be mandatory? This post is my personal view, and I have proposed a Plank regarding this which has been added to the Exposure Period for Platform Vote #5. I’m not trying to convince people, but I would like to open the discussion on a topic that we may reasonably call controversial.